:Twins Sean and Dillon are using their transit abilities for good--but not everyone sees it that way. Arrested and imprisoned by a clandestine group within the highest reaches of the Human Assembly, Sean and Dillon are forced to choose sides between those who wish to serve and those who seek to rule. At the same time within a distant outpost system, a young soldier is coming into his own. Logan has known since childhood that he possessed a special ability--a distinct form of transiting called ghost-walking. Though ghost-walking has been outlawed for centuries, Logan is secretly drawing together a crew for a risky quest. 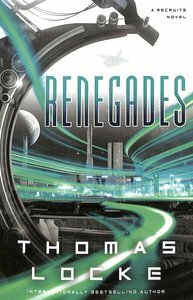 About "Renegades (#02 in Recruits Series)"